Happy Easter week friends! I’m kind of dying over these little guys, i mean how stinkin cute, right?! 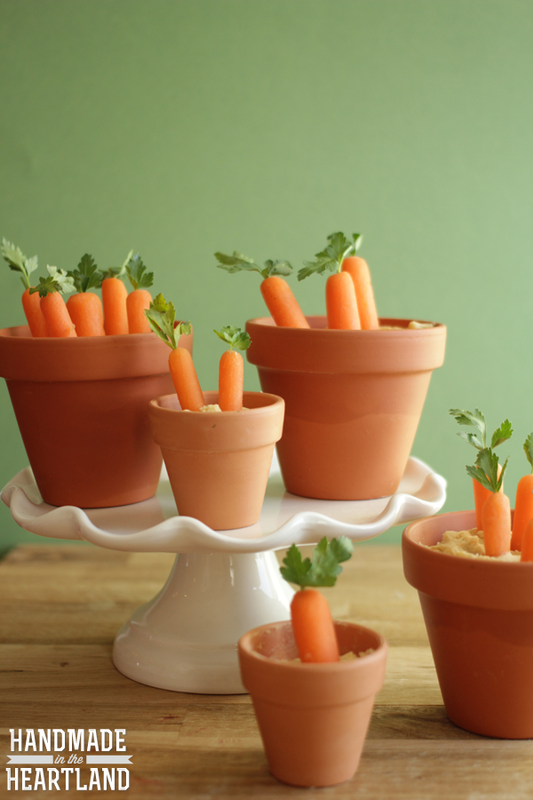 this little appetizer would be perfect for your easter celebration, can’t you see these little garden pots filled with carrots “growing” out of them at each person’s place setting or displayed on the counter for people to snack on? 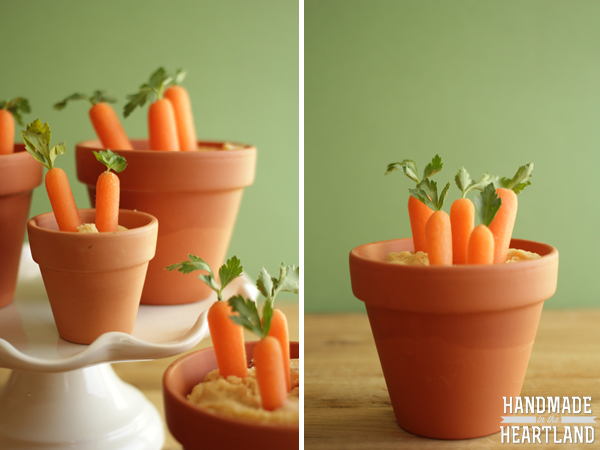 Everyone at your home will just think you are the most clever hostess when you make these Easter baby carrots & fresh made hummus! The key to making great hummus is removing the skins from the chickpeas. Did you even know that chickpeas had skins? i didn’t until i did my research and yes if you dump the can out, drain them and then just lightly pinch them the skins will pop right off. It’s tedious, but makes all the difference in truly silky smooth hummus. So toss your peeled chickpeas into a blender or food processor with all the ingredients and 1/4 cup of water, process until smooth. I needed to add the full 1/2 cup to get the consistency i wanted, you can judge what yours needs. 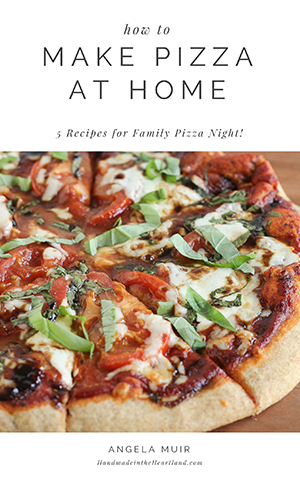 Serve with veggies & pita chips. 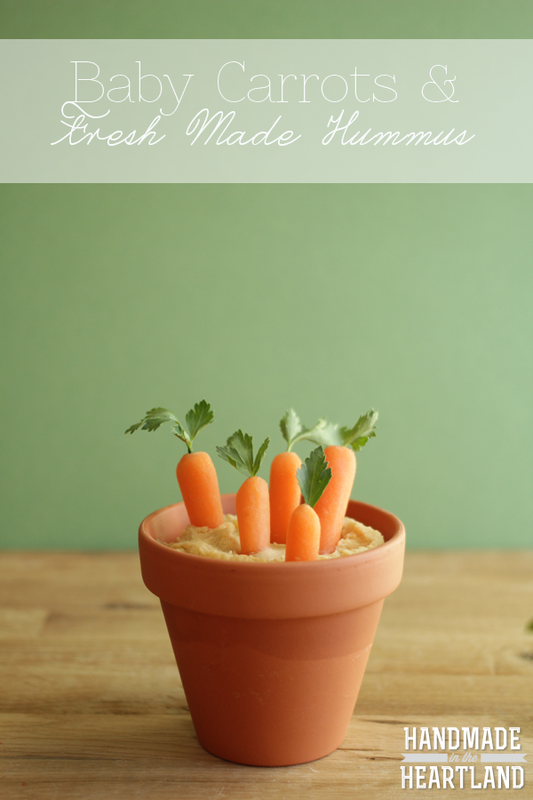 To make the baby carrots i took a toothpick and poked a hole in the top and then cut little pieces of parsley and inserted them into the carrot. Super easy and so cute! Are you getting excited for this weekend? I’ve got to get my kids baskets all ready this week. What are your plans? doing anything fun?